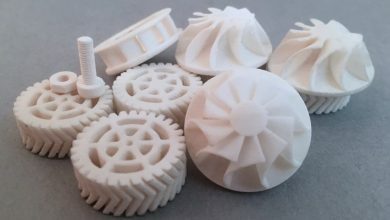 The composite additive manufacturing sector, though still relatively niche, is steadily advancing as more and more industries realize its potential. Composites—materials that are made up of two or more material types—offer a range of high performance characteristics which have made them important within the aerospace, automotive and manufacturing industries, to name just a few. Presently, most composite manufacturing relies on traditional manufacturing processes. With the advent of increasingly sophisticated AM processes, built specifically for composite printing, however, the industrial materials group is gaining in applications. As an indication of the growing significance of composite additive manufacturing, market research firm Smartech Publishing is releasing its new report on the Opportunity for Composite Additive Manufacturing 2017. The report will provide an in-depth analysis of composites in additive manufacturing today—from materials and processes to future expectations for the sector. Within the 3D printing sphere, only a handful of companies currently offer composite additive technologies. 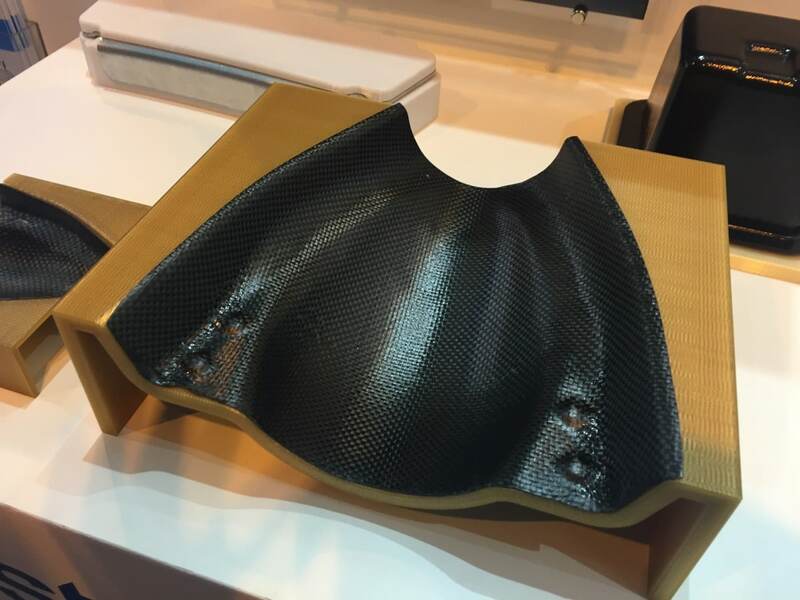 Most, as those familiar with the industry will know, have focused their efforts on developing processes for carbon fiber composites—a group of materials which combine thermoplastics (or thermosets and even photopolymers) and carbon fibers. Other common types of composite materials include glass fiber composites and aramid fiber (Kevlar) composites. All three types offer beneficial properties, including high strength (similar or even superior to some metals), low-weight and good durability and resistance. 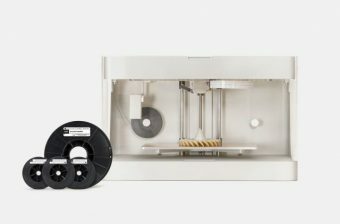 Founded in 2013, Massachusetts-based Markforged is currently the only company to commercially offer FFF/FDM systems for continuous fiber printing. Aptly named Continuous Fiber Fabrication, the innovative technology is built for processing carbon, glass or kevlar fibers within a nylon matrix, and is capable of producing parts that are as strong as metal but much more lightweight. 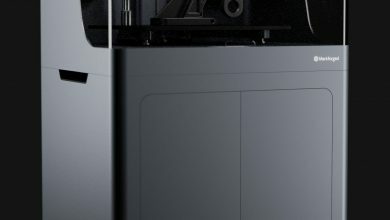 The company offers a range of desktop and industrial 3D printers, including the Onyx Pro (desktop), Mark Two (desktop), X7 (industrial) and more. In general, Markforged markets its composite AM systems for the production of functional parts using 3D printer farms. The main benefit of CFF, as SmarTech points out in its report, is that it simplifies the continuous fiber composite manufacturing process by eliminating the need to manually layer, glue, cut, shape and curve the composite material. In terms of limitations, Smartech highlights the fact that CFF relies on the fiber being applied in a planar geometry, which means that the Z strength of printed parts is limited to the strength of the thermopolymeric matric on its own. Still, users do have the option to choose their desired fiber direction. 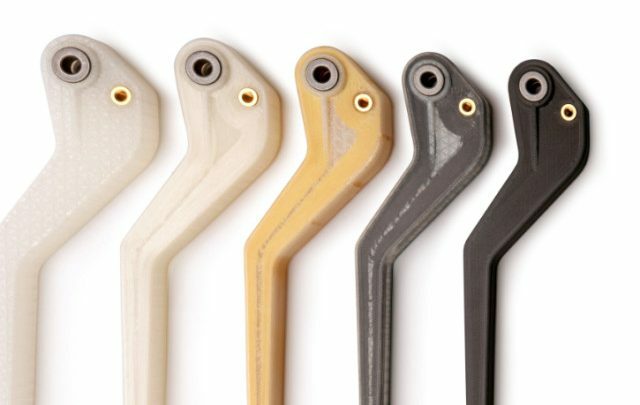 On the whole, Smartech suggests that Markforged’s CFF technology will remain best suited to short series production of up to 100 parts and will not gain much competitive edge for large series production or the production of larger scale parts. A leader in polymer 3D printing, it is no surprise that Stratasys has its foot in composite AM. 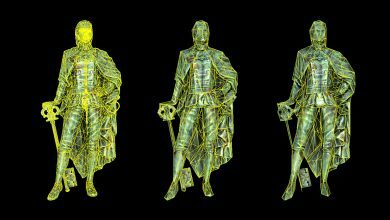 Its Infinite-Build 3D Demonstrator, unveiled in 2016, has been its most compelling contribution to the niche sector. 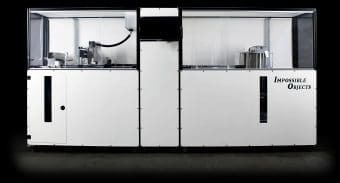 The machine, which rethinks the concept of FDM extrusion by eliminating size constraints along the vertical plane, is capable of printing parts with chopped or continuous fiber composite materials—both in filament or pellet form. Developed in collaboration with Siemens, the 3D Demonstrator combines Stratasys’ extrusion technology with Siemens’ PLM software and motion control hardware. The Infinite-Build system was developed to meet the needs of the aerospace and automotive sectors to rapidly manufacture strong, large and lightweight parts. Notably, Stratasys has worked closely with aerospace giant Boeing and the Ford Motor Company is developing its composite AM technology and exploring potential applications for it. Another notable inroad for composite additive manufacturing comes from EnvisionTEC, which introduced its continuous fiber composite printing technology, SLCOM, in 2016. SLCOM, which stands for Selective Lamination Composite Object Manufacturing, 3D prints “woven fiber composites preimpregrated with thermoplastics” using a proprietary process. EnvisionTEC made big promises for its SLCOM technology. 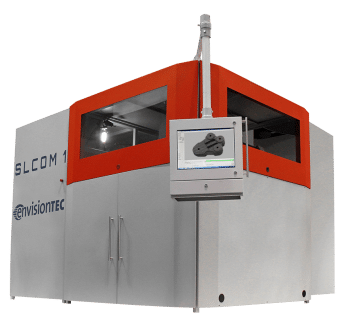 The first composite 3D printer offered by EnvisionTEC, the SLCOM 1, boasts a build volume of up to 10 cubic feet and is capable of producing parts with reliable X-Y strength and high surface finish quality. The SLCOM process itself layers laminated thermoplastic composite sheets, from a roll, to build up objects. In terms of materials, the SLCOM 1 is compatible with a range of thermoplastic reinforced unidirectional or multidirectional woven fibers, including woven glass giber, woven carbon fiber and woven aramid fibers. The fibers are reinforced with either nylon 6, nylon 11, nylon 12, PEEK, PEKK, PC or others. Built for industrial use, EnvisionTEC’s SLCOM 1 has applications in the aerospace, automotive, consumer products, sporting goods and medical sectors. Based in Indiana, Continuous Composites 3D (CC3D) has been developing its composite 3D printing technology since as early as 2012. 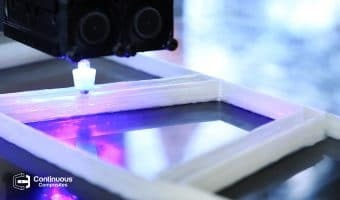 Its now patented process, Continuous Fiber 3D Printing (CF3D), uses a combination of UV-cure thermoset resins and continuous fiber materials (including aramid, glass and carbon fibers, as well as copper, nichrome wire and fiber optics). Continuous fiber composites 3D printed and deposited by a Comau robotic arm using CC3D technology. The company has evolved significantly since it first introduced its new technology, signing collaboration partnerships with robotics giant COMAU and software giant Autodesk to support it. The goal is to parallel Stratasys’ work with Siemens and Kuka, combining extrusion with coplex robotic arm movements through the power of software. The CF3D process has various applications in the aerospace, automotive, construction, energy and sporting goods industries. Silicon Valley’s Arevo Labs is a pioneer in robotic composite printing, as it began developing its own technology before even Stratasys had considered robotic AM for composites. 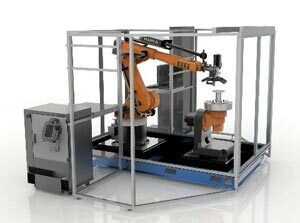 Its process, Reinforced Filament Fabrication (RFF), integrates a standard robotic arm and a thermal extruder for high temperature thermoplastics. 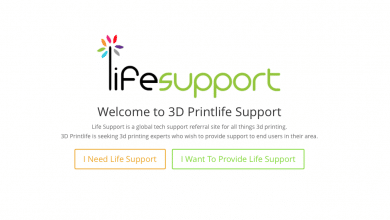 It is the company’s software which ultimately enables the platform to deposit continuous fibers during printing, which reinforce the part on the Z-axis. Arevo Labs’ RFF process uses chopped fibers, which are specially directed to improve properties. This approach, as Smartech found, results in superior parts to chopped fiber composite parts made with injection molding. In May 2018, the company closed a $12.5 million financing round (led by Asahi Glass and several other VC funds) to help it progress its technology from desktop to factory environments. The company also utilizes a laser-based deposition process in addition to its continuous fiber deposition process. 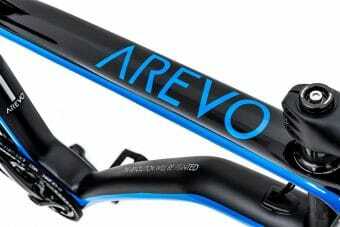 Arevo Labs also develops its own (and arguably some of the most advanced) chopped fiber composite filaments. The materials, however, are only available through the company’s manufacturing services. It is one of the few companies to offer carbon nanotube composite filaments for ESD properties as well as PEEK and PAEK-based polymers reinforced with short carbon fiber and glass fibers. 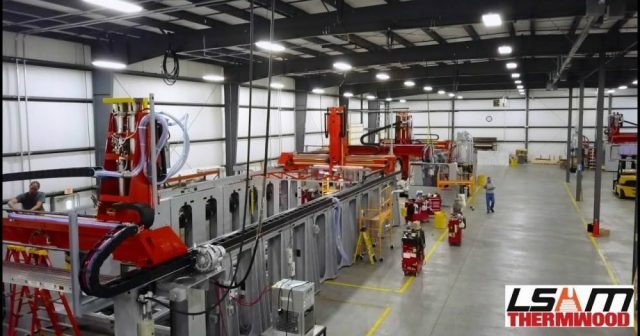 One of the more recent additions to the composite AM landscape comes from Impossible Objects, an Illinois startup responsible for composite-based additive manufacturing technology (CBAM). The process, described by Impossible Objects as “a completely new approach to 3D printing” is capable of producing parts made from carbon, Kevlar or glass fibers bonded with thermoplastic matrix materials, including nylon, polyamide, polyethylene, PEEK and others. The inkjet-based system consists of a multiple step process that begins with the feeding of a fiber sheet into the printer. Next, the printer deposits print fluid onto the fiber sheet in a pattern or shape specified by the CAD file in question. The printer then deposits polymer powder onto the fluid, bonding it to the fiber sheet. This process is repeated until the object is built up and the un-bonded portions of fiber sheets can be removed. Impossible Objects raised $6.4 million in the latest funding round and has already installed two systems at Ford Motor Company. 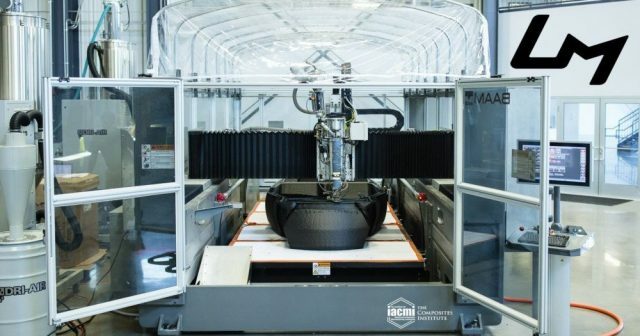 Developed in partnership with the Oak Ridge National Laboratory, Cincinnati Inc’s BAAM 3D printer is not only one of the largest 3D printers on the market, but it is also capable of extrusion-based composite AM. The technology uses thermal extrusion and plastic granules of composite materials to rapidly build up large, strong and lightweight parts. Helping to keep production costs low is the fact that the BAAM system uses injection molding pellets as a print material, meaning it does not require specialty filaments. The system has been used to produce carbon fiber composite parts, which have demonstrated superior strength and thermal conductivity. Similarly, LSAM (Large Scale Additive Manufacturing) technology was developed by Thermwood to produce large to very large sized components from reinforced thermoplastic composite materials. Applications include industrial tooling, masters, patterns, molds and production fixtures for a variety of industries including aerospace, automotive, foundry and boating. Of course, the aforementioned composite additive manufacturing technologies are anything but exhaustive, as a number of other companies are working to develop composite AM processes (we’re eager to see what Orbital Composites will soon launch! ), new composite materials and more. 3D Systems, EOS, Prodways and even new entry HP, for instance, have already developed a range of composite carbon and glass fiber materials suitable for their polymer powder bed fusion (SLS and MJF) 3D printing platforms. Third party suppliers like CRP Group also introduced advanced carbon and glass fiber materials for standard SLS systems. Innovation advances at very high speeds. To learn more about SmarTech’s latest finding in composite additive manufacturing be sure to register to attend SmarTech’s upcoming Analyst Day taking place on September 27, 2018 where analysis and forecasts of service bureau markets will be presented. See https://www.smartechpublishing.com/smartech-event/ for additional details.